So among the joys of parenthood is rediscovering childrens’ books (other joys include being up before six but that’s a different story). 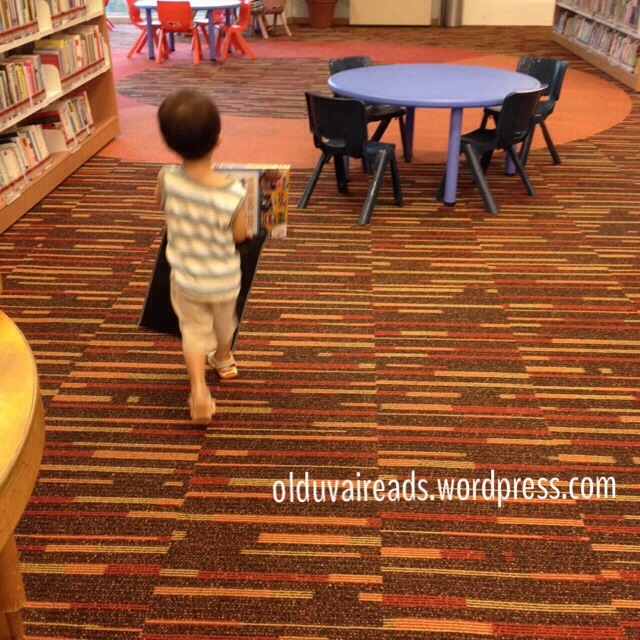 While Wee Reader hangs out at the tables (in our library there are plenty of wooden puzzles and bead mazes to play with – and in any other library, other kids to observe and books to browse), I browse the shelves and shelves of board books and picture books. And there are plenty to delight the adult reader! 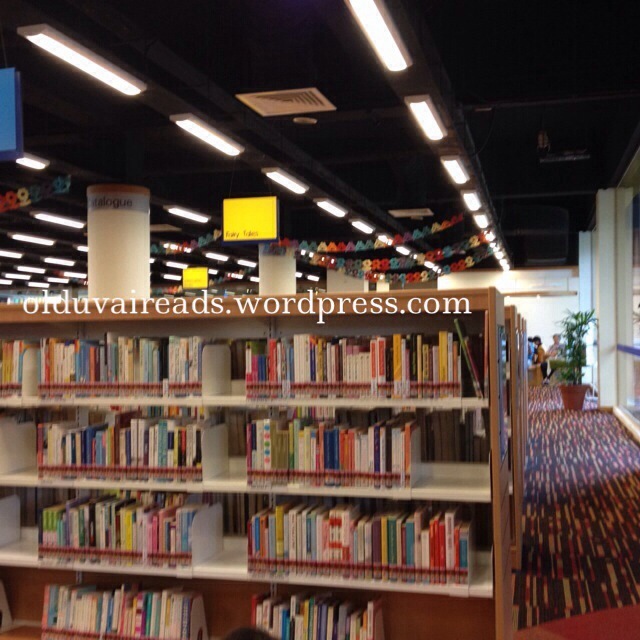 When we were back in Singapore, I made sure to introduce Wee Reader to my childhood library, the Queenstown library, the inside of which has been renovated but it’s still the same two-story building, built in 1970, the first full-time Branch library (once a solemn blue, now a very happening orange!) along Margaret Drive. This is quite a feat in forever-changing, always-a-construction-site Singapore. The rest of the neighbourhood is a different story altogether, with the polyclinic now a dormitory for construction workers, the old cinema and bowling alley all long gone. And sadly, so is the hawker center that used to hold food stalls that sold some yummy duck rice, chicken rice and fishball noodles! But the library still stolidly stands on (at least for now). And for that I am grateful. For it is a part of Singapore that I am truly fond of. 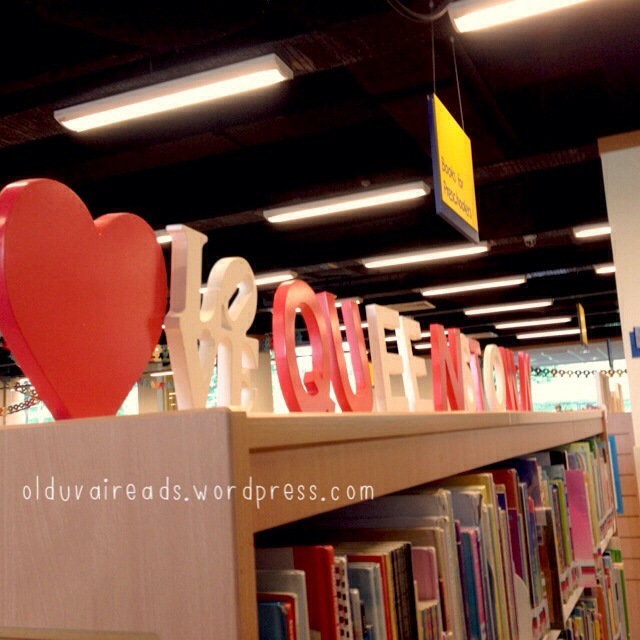 It’s been many years since I’ve patronized the children’s section of the Queenstown library. Long gone are the days when I would have to open all the books to the front pages for the librarian to stamp a date. These days, the borrowing machines are so smoothly high-tech that the books don’t even need to be opened or barcode-scanned at all, thanks to RFID. And I was delighted to learn that the borrowing limit has been upped from FOUR (yes, that meant that I always carried around other people’s library cards, so that I could borrow 12 instead of FOUR) to SIXTEEN. But back to the picture books. I wish I were a child today, there are so very many board books and picture books to suit every interest and theme. My little fellow zooms in for the vehicle/construction books – trains, planes, trucks, cement mixers, bulldozers? That’s his ideal book! 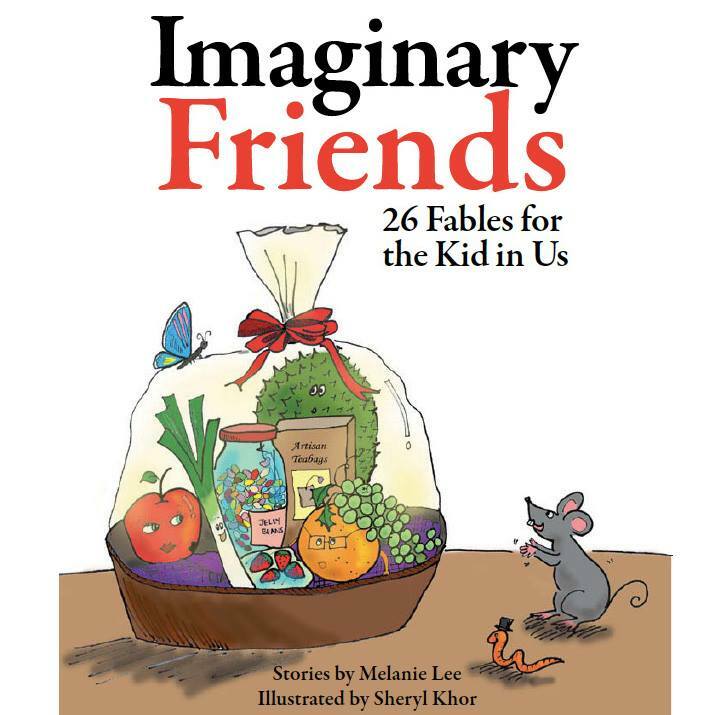 So it was with some delight that I read Imaginary Friends: 26 Fables for the Kid in Us, written by my friend Melanie Lee and illustrated by Sheryl Khor. While not a picture book, its short tales and cheerful artwork make for a fun visual read. This e-book takes us from shiny Apples to Zealous Zithers, with even a Tenacious Teabag in between. I enjoyed the Singaporean flavour of it, with Dan the Durian Man looking for love among the fruits. And sniggered as I recalled being a primary school student who enjoyed poking pens into erasers, leaving them looking “diseased with small black dots all over”, just like in E is for Elly Eraser, who finds that life in the Pencilbox isn’t looking so great anymore, thanks to Loratio Liquid Paper. But perhaps the most apt tale for me these days is S is for Sheila the Sleepy Salmon, where after the school is attacked, Sheila finds herself teaching the young ones to rest in order to live another day. With two kids under the age of three in the house, I could not agree more. ← Previous Post Weekend Cooking: Season’s Eatings!